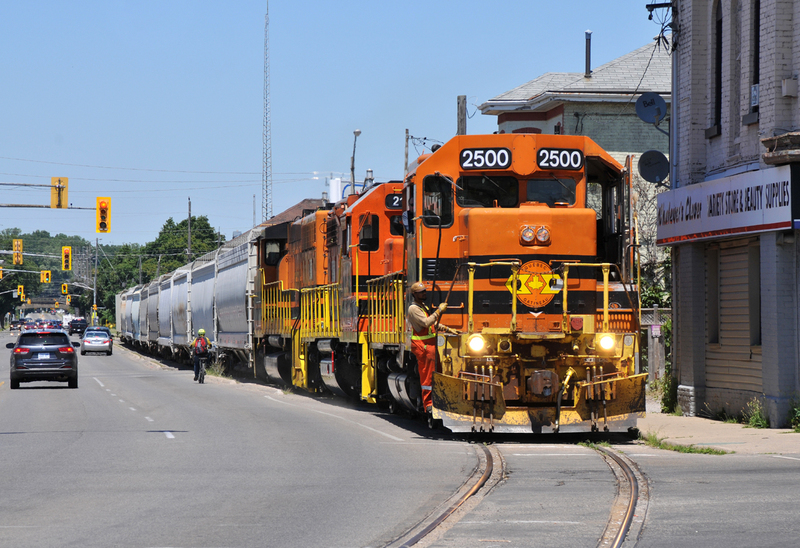 Railpictures.ca - James Gardiner Photo: 598 trudging their way through downtown Brantford with QGRY 2500, RLHH 2111, RLHH 3049, and 10 hoppers | Railpictures.ca – Canadian Railway Photography – photographie ferroviaire Canadienne. You’re right Marcus…3 units handling what a single SW1200RS could do back in the day! Very nice, I saw 3049 at the shop in Hamilton a week or so ago so it was obviously there for work.